This month we were also exhibiting in Edinburgh’s Custom Lane for Custom: Made. 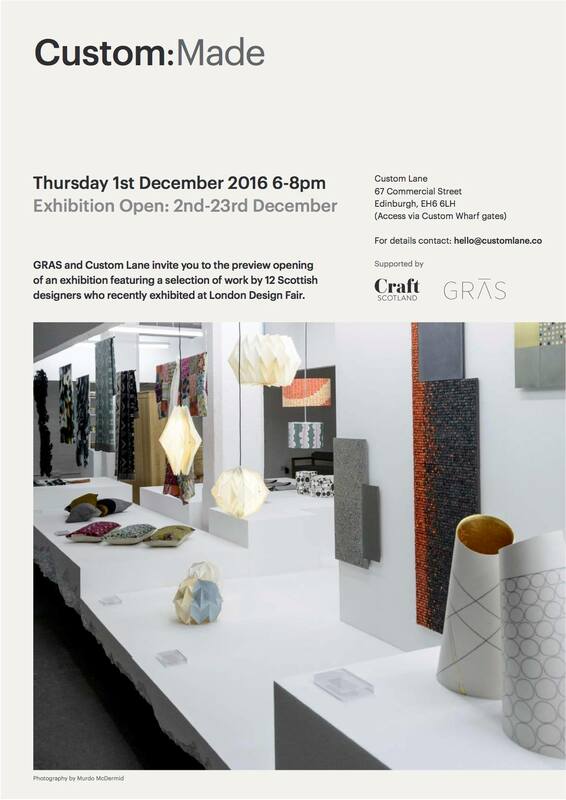 This exhibition supported by GRAS and Craft Scotland, features the work of 12 Scottish designers that recently took part in the London Design Fair. A great chance for those who did not make the event in London to catch the Scottish exhibitions closer to home. Displaying the Cocaine Coffee Table, The Govan Sofa Bench in Grey and The Govan Executive Desk, you can view the exhibition from 2nd to 23rd December at Custom Lane, 67 Commercial Street Edinburgh. We hope you can make it along!